As we avoid pairing with plaids, we might send elegant but perky birthday greetings to Sonja de Lennart; she was born on this date in 1920. 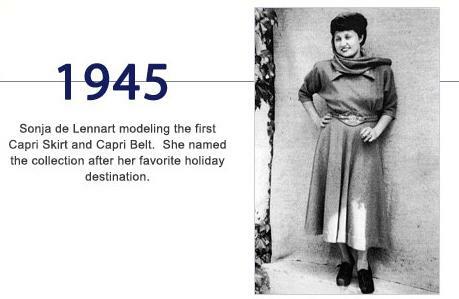 A fashion designer who began her career at the close of World War II, she created a wide-swinging skirt with a wide belt (which, as readers can see below, she modeled herself), a blouse, and hat–a collection that became known as the Capri Collection. A couple of years later, in a move away from the wide and rather masculine trouser profile being worn by women of the day, she added a tighter, three-quarter length pant to the collection, the Capri pant. 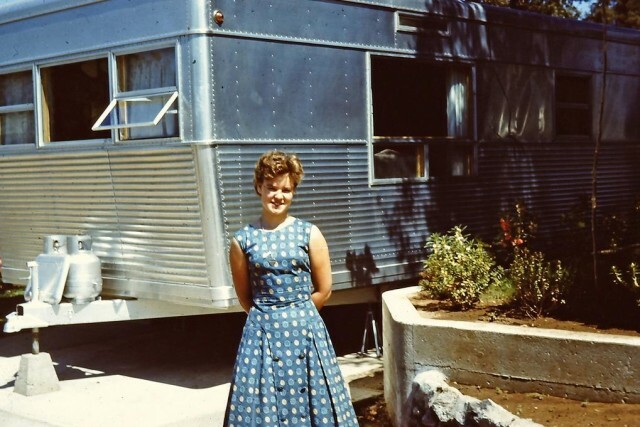 Audrey Hepburn made the slacks famous, wearing them first in Roman Holiday, then Sabrina. 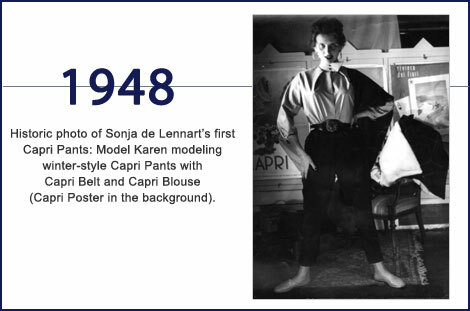 As a result, Edith Head embraced the entire Capri line’s look, and so they adorned Doris Day, Jane Russell, Katharine Hepburn, Gina Lollobrigida, Ava Gardner, Elizabeth Taylor, Jacqueline Kennedy, Marilyn Monroe, Kim Novak, Sophia Loren, Anita Ekberg, and Mary Tyler Moore… along with black turtleneck-wearing Existentialists in Paris.